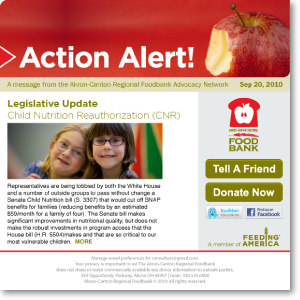 By signing up for the Foodbank Advocacy Network, you'll receive Action Alerts in your email notifying you of ways that you can join the Foodbank in the fight against hunger. Contact your local elected officials and educate them about hunger in our community. Ask them to take action on legislation affecting hunger issues. Find contact information for your local, state and federal elected officials here. Spread the word to family, friends and business colleagues about what the Foodbank is doing to fight hunger in our community. Participate in campaigns and special events that bring attention to hunger in our community. View a list of upcoming events. 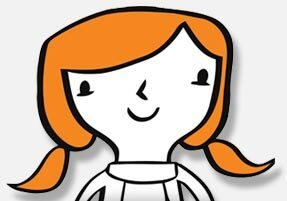 Connect with the Foodbank on the Internet and share the updates with your friends. Follow us on Twitter. Like us on Facebook. Watch our videos on YouTube. For more information about our Advocacy Network, please contact Colleen Benson at 330.777.7571.